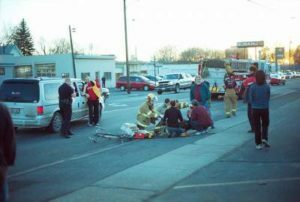 After a car-pedestrian accident, the injured party (which is mostly the pedestrians) is often responsible for their settling their medical bills. If the bills are high due to the severity of the injury, it may have a negative effect on the victim’s financial plans or credits. Only a dependable pedestrian accident lawyer can help navigate these difficult times. It is expedient that you talk to a dependable lawyer in times like this. To find one in Corona, you need to come to us at Rawa Law Group and let’s go through these storms together. Rawa Law Group is a superior legal agency in California that has years and years of excellence in legal practice to its name. We have helped several thousands of citizens in the state to gain the right amount of settlement after an unfortunate accident. It is morally right that the person who caused you so much pain should pay for the damages done and we are advocates for that right. Our pedestrian lawyers have a combined experience of almost six decades and know how to file your case and prove you innocent. You can consult us for free today and although pedestrian accident cases take several months to get sorted, we only make charges at the end of the case. You can also rely on us for dedicated attention even if it means coming to make visits to you at your home or hospital where you are being treated. To buttress your accident claims and maximize your compensation, hire a dependable pedestrian lawyer corona, CA from Rawa Law Group. The following details are our address.